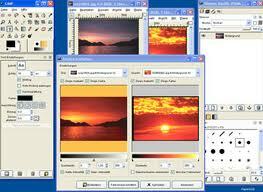 There are several tools and photo editing softwares for professionals and advanced users like Adobe Photoshop. There are many simple and handy tools for personal use as well. 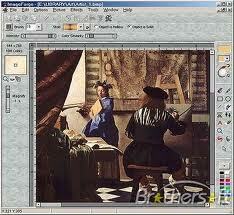 Paint.NET is the most favorite image editing tools among Windows users. The user interface is intuitive and includes special effects, unlimited undo, 3D rotate/zoom effect, recolor tool along with support for layers. Other special effects include sharpening, blurring, distortion, noise, red-eye removal and embossing. Picasa is the basic image editing software download form Google preferred by all the geeks as well as non-geeks because it is simple, effective and easy to use. 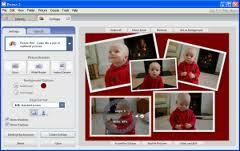 The built-in editor includes basic features like cropping, basic color correction and other spacial effects. This is not for detailed editing. 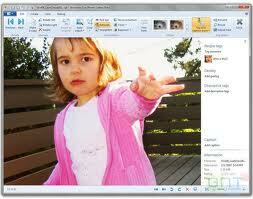 Windows Live Photo Gallery 2011 is a part of Windows live essentials. With this software photos can be imported form camera, edited and organized into camera. Photos can be shared directly on Flickr and Facebook. GIMP, GNU image manipulation program is another free editing software touted as a competitor to Adobe Photoshop. It features advanced cloning, channel mixing, layered compositions, photo retouching, memory management, full alpha control channel support, multiple undo/redo, editable text layers, transformation tools like scale, shear, rotate and flip, image authoring and paths. It also gives the feel of Photoshop. Photoscape is more than a photo editing tool. This robust editor is packed with uncountable features like batch function utility, raw image converter, an image splitter, color picker, file renumber, batch renaming utility, screen capture utility, printing utility and photo layout. Apart form this there are all standard editing features like custom adjustment, contrast, brightness, backlight corrections and exposure. 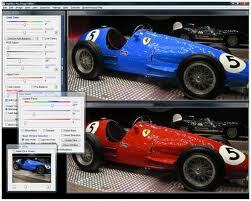 ImageForce is also a powerful image/photo editing software for creating and editing images. Pictures can be acquired from scanner or digital cameras. You can apply special effect filters and own photo albums can be produced. Shock View offers cute frames and clip arts and various features like resizing, crop, dynamic GIF, converting, batch name, effects along with image editor and image viewer. 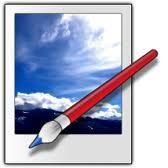 LightBox image editor is a simple and attractive image editing tool with basic editing features. JetPhoto Studio allows the organization of the photos by keywords, notes, location and time. It is packed with features like resizing pictures, generating flash movie, stamping watermarks and cropping pictures for cell phone and PDA screens.